Let’s start with wedding dresses and this is definitely one area where you can go green without compromising on quality or style. There are two main options – go for a pre-loved gown or choose a new gown from a designer with strong eco credentials such as Sanyukta Shrestha. 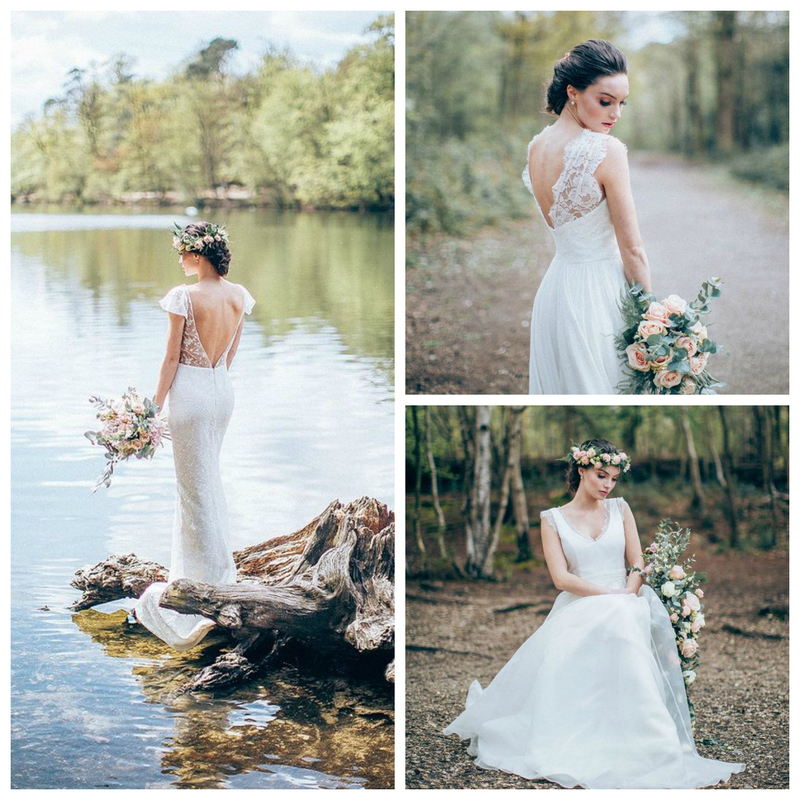 Sanyukta works with Fairtrade, ethically produced fabrics and creates gowns that are simply stunning. 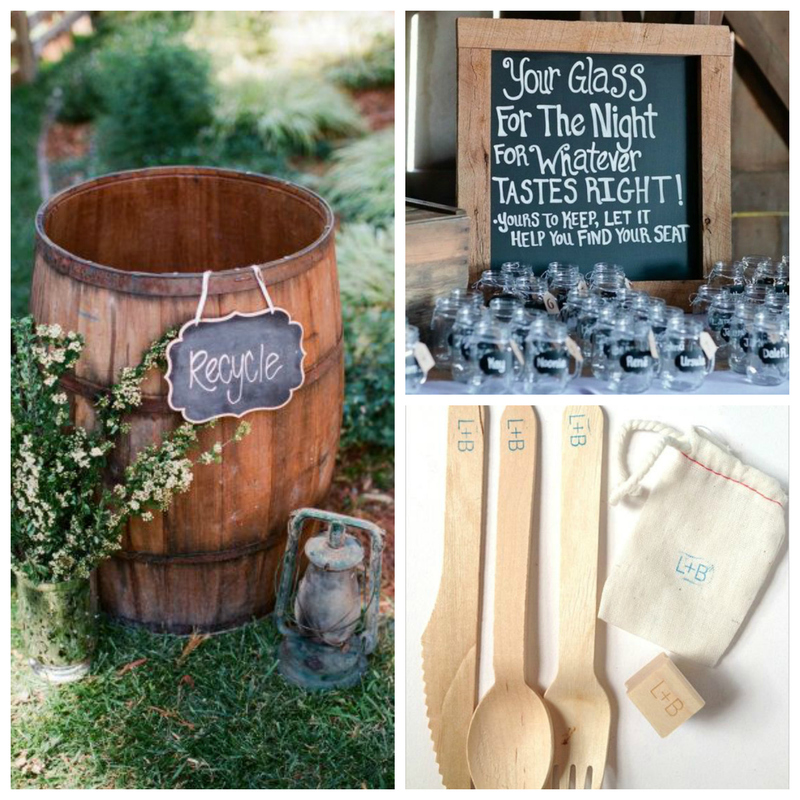 Your wedding breakfast could easily dent your eco-friendly plans unless you think carefully. Potted plants and flowers will last unlike cut flowers which are usually thrown away after the big day. 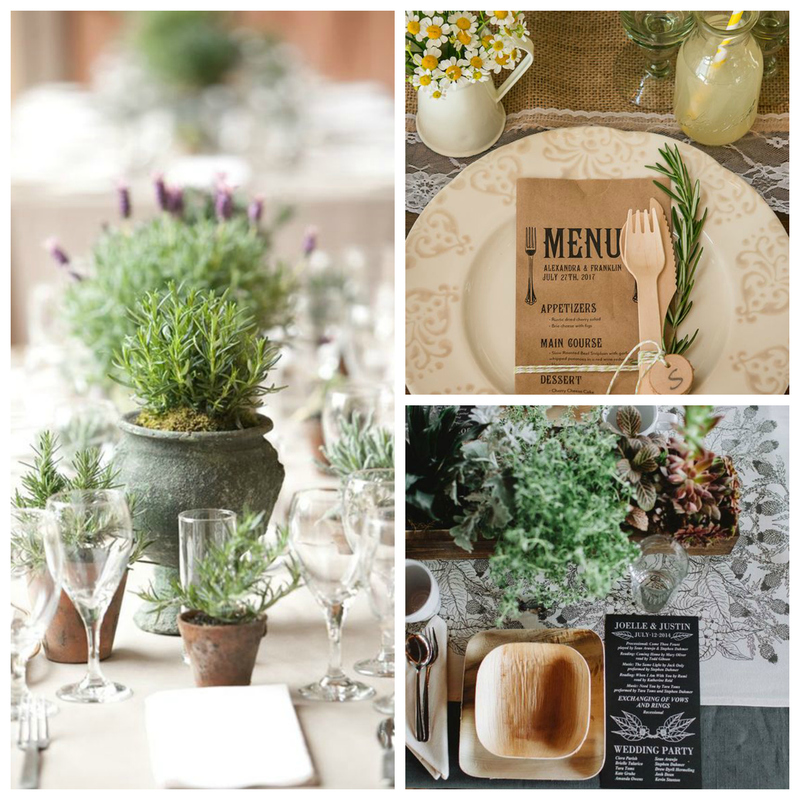 You can work with compostable bamboo plates, wooden cutlery to create a really gorgeous look and if you work with local caterers who use seasonal, locally sourced produce, you’ll be well on your way to a greener wedding. 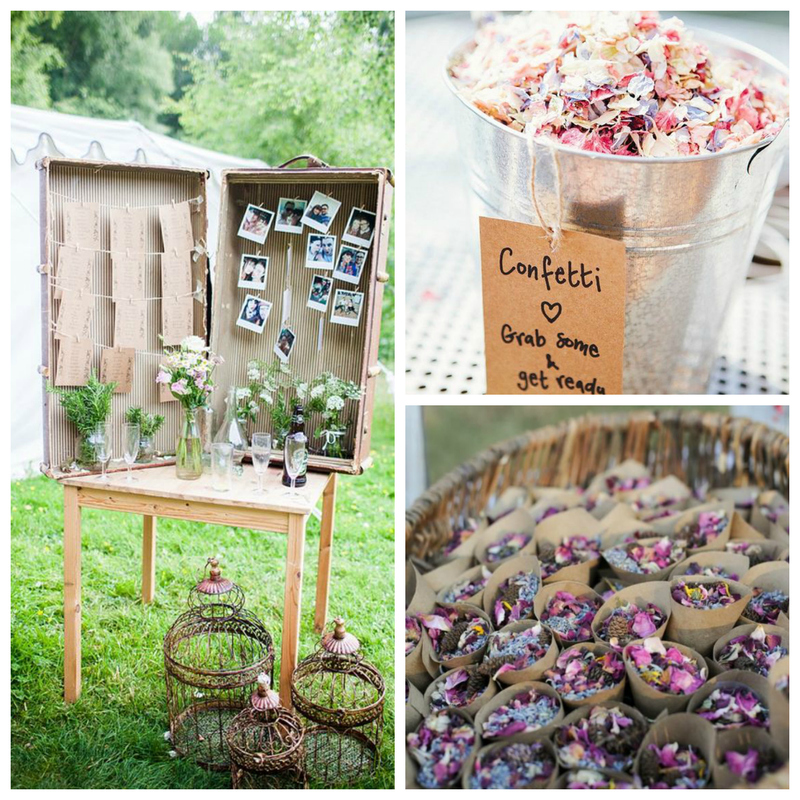 We’re all for recycling so why not set up recycling stations at your wedding so that guests can easily dispose of their waste? We also love the idea of trying to cut down on the amount of glasses needed too (just think of the power needed to run those dishwashers) and gifting guests glasses that can stay with them throughout the day is a great idea. There are plenty of options for eco-friendly details too. Use recycled paper for invitations or even go for invitations printed on seed paper – these can be planted and will bloom in no time! Alternatively, cut out the paper altogether and send your invitations electronically instead. For the wedding day, you can cut down on paper usage here too – menus and orders of the day written on blackboards, pallets or even vintage mirrors look wonderful. When it comes to your wedding rings, think Fairtrade metals and ethically sourced, conflict-free stones. There are lots of designers out there now with strong eco-friendly portfolios, particularly online, and the bonus here is that you can often personalise your rings too. 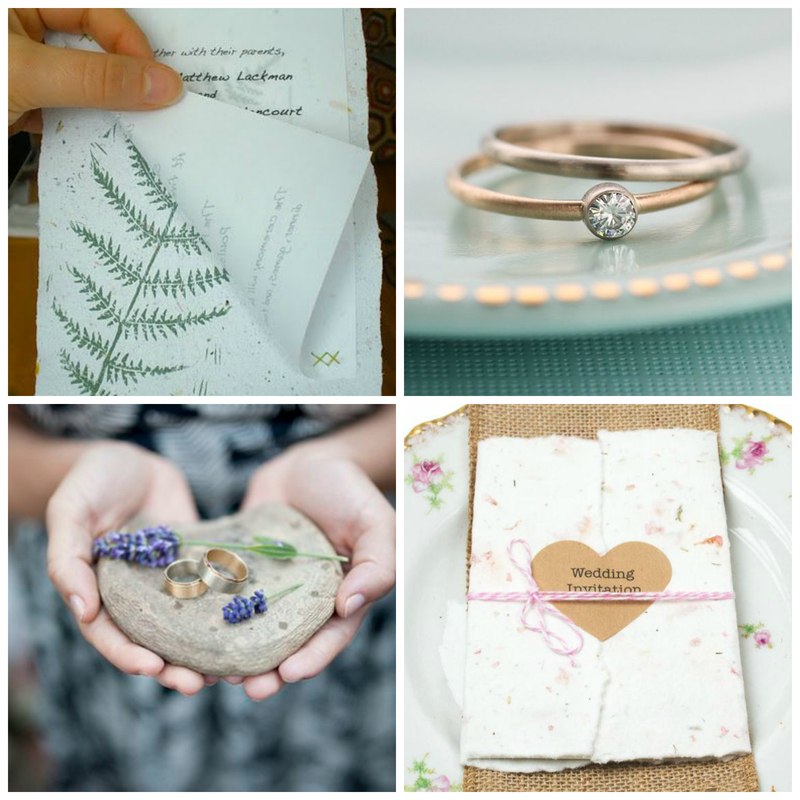 Definitely think about reusing what you already have before you buy because so many items purchased for weddings after never used again after the big day. You could repurpose an old suitcase as a table plan or holder for wedding cards, use an old ladder to create a photo display or even just move flowers and decorations from your ceremony to your reception to cut down on the amount you need. 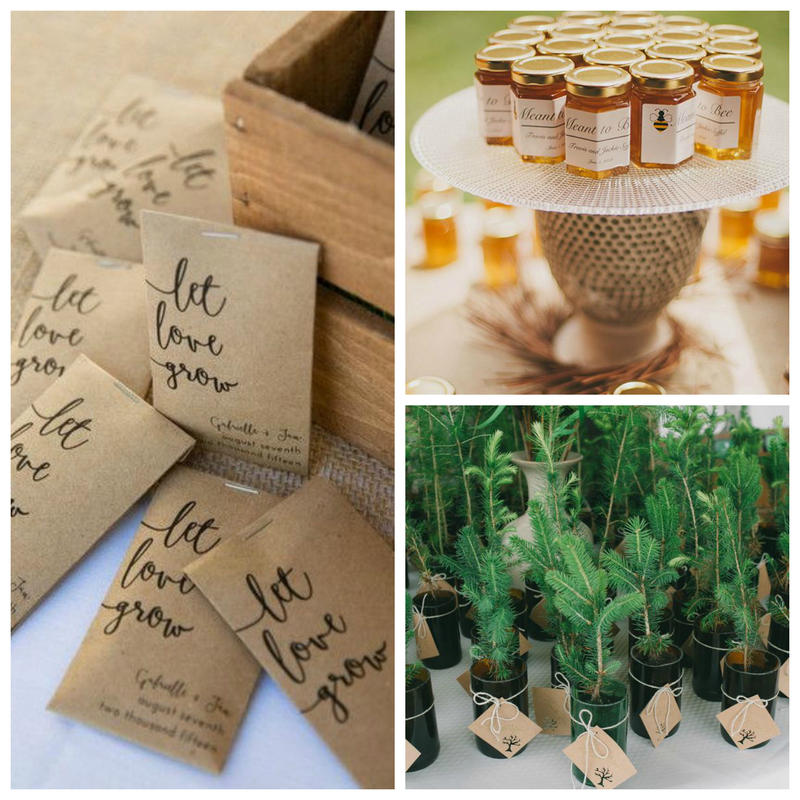 Eco-friendly wedding favours are super popular right now and importantly, they’re also popular with guests because it’s so sad to see lots of favours left behind at the end of the night. Wildflower seeds, locally produced honey, little trees that guests can plant themselves or potted plants to take home are great options. You could even make a donation to a charity such as the Woodland Trust instead! If you’d like a natural wedding day, why not start with your venue? Our woodland wedding venues at Rainford, Colney and Chiltern are a beautiful backdrops for your ceremony and we offer a range of packages to suit all budgets. If you’d like to find out more or request a brochure, do get in touch.